Remember that last, great hope we have for another Wing Commander space combat game? Well it's going to be at PAX this weekend, so you better go check it out. Seamless Entertainment tell me they will be at booth number 6026 demoing SOL: Exodus and listening to what gamers think about it. Do us all a favor and see if it's going to be a heart winner or breaker, and then let the devs know in person. These images give me hope. The events of the UCS-1 mission unfold as the expeditionary forces are attacked without warning or provocation. The Hades fighter platform was designed to provide a flexible tactical force to UCS operations throughout the solar system. Though the ship relies on brute force and requires a superior pilot to achieve the best results, it is still a formidable fighting machine. It has been adapted to meet new needs and challenges dozens of times throughout its long service history. The Commander issues a hail to the refinery on Pluto. 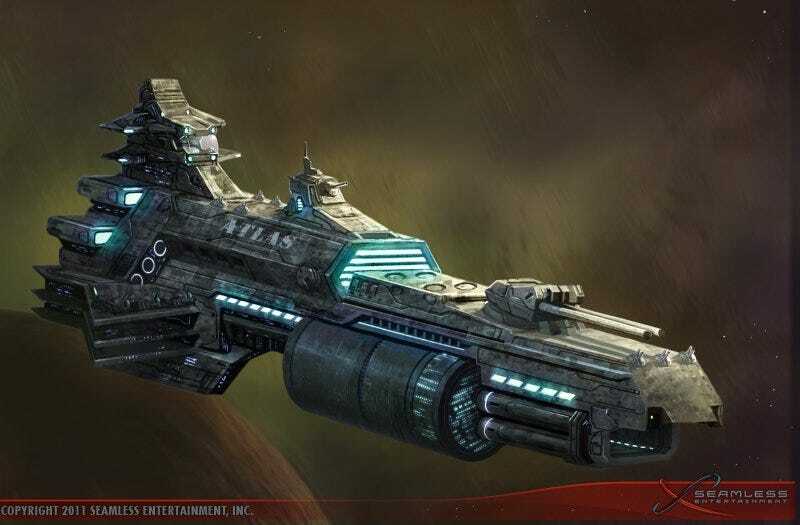 The UCS Atlas is the sole surviving Atlas-class vessel remaining from the UCS-1 mission in 2305 to locate a new home for humanity.